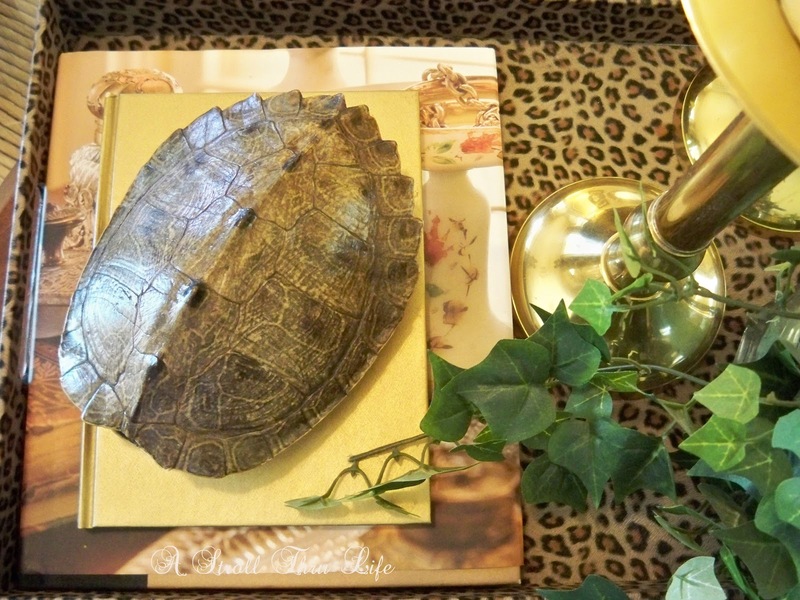 I love animal prints so naturally when I found this fabulous tray, it just had to come home with me. Perfect for a new vignette on the coffee table. Great size for a couple of big brass candlesticks and of course my tortise shell. 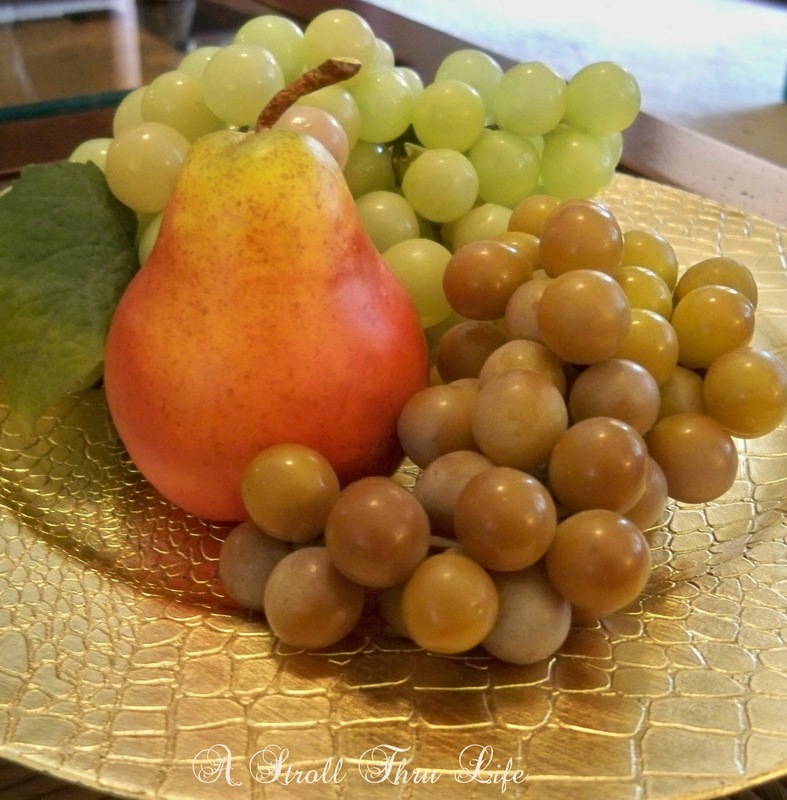 A gold charger and fruit for some color. I kept my antique-ish horse and added an equestrian bowl that I've had for years. 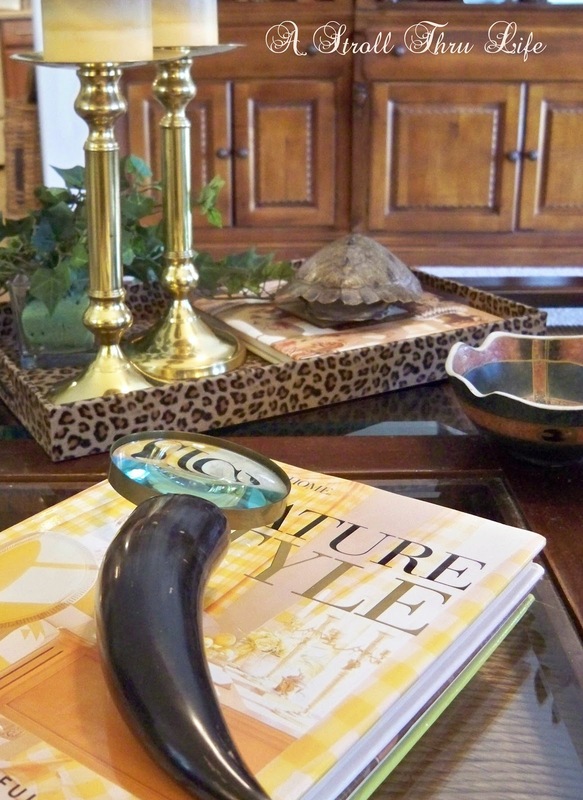 Some decor books and my horn magnifying glass finishes the table off. The gold accessories and the animal print are working well with my new pillows. I am still fluffing, but I will show you the whole room soon. 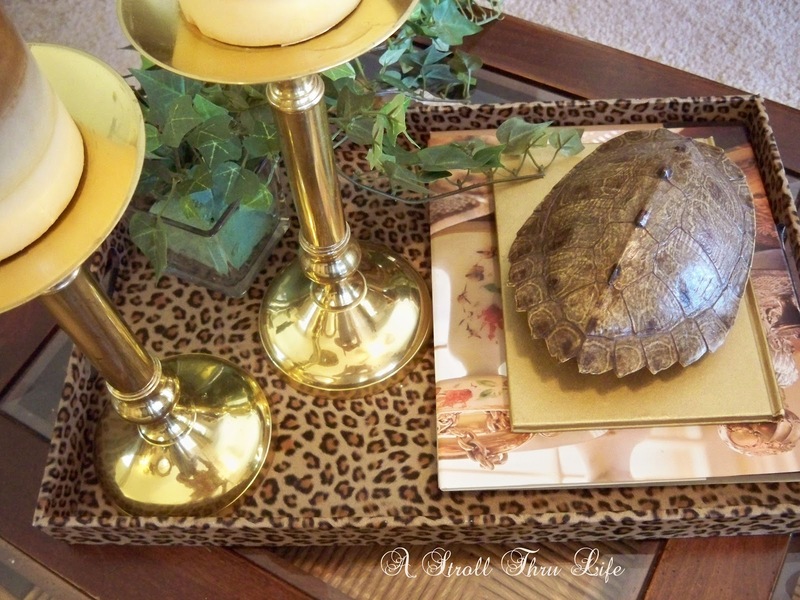 Love your new animal print tray, Marty ! Looks fabulous on your table ! Very cute! My mother-in-law would love something like this (and the shell)! 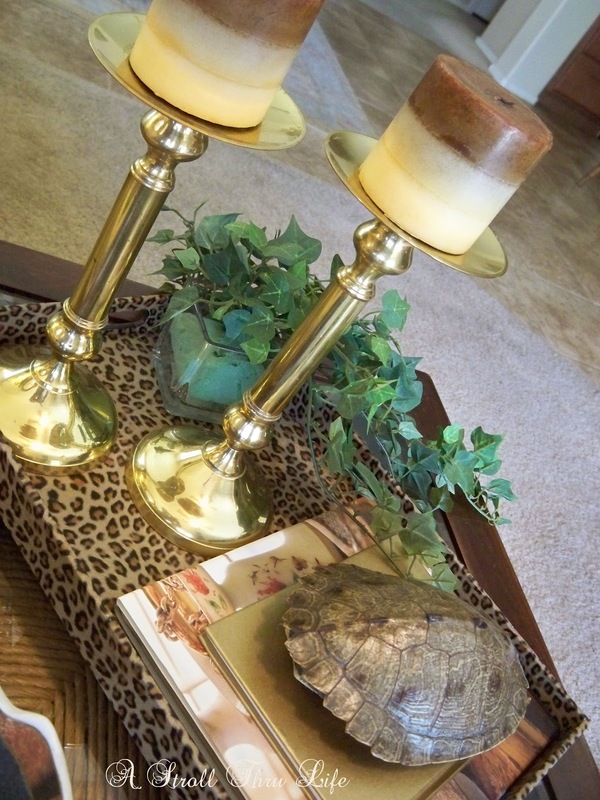 I love your animal print tray! I love that snazzy tray, Marty! And that tortoise shell is the perfect touch! Love this vignette! Absolutely gorgeous. Everything comes so nicely together. Fabulous job ! That is a beautiful vignette! It came together beautifully. 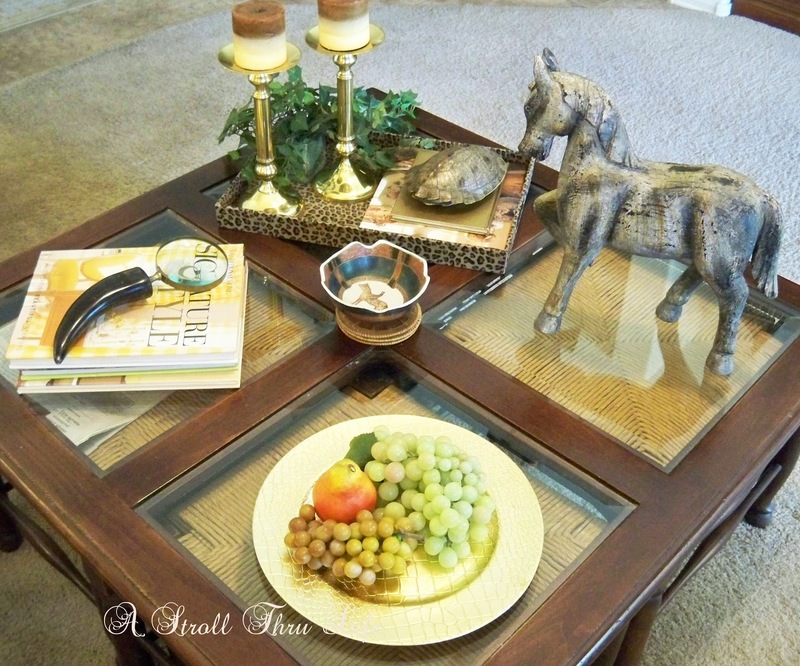 Love your new animal print tray....it looks great on your table! This room gives off a safari vibe. I really like that and the tortoise shell decor which fits in the room perfectly. Love the look. I especially love the horse. I have a thing for horse figurines. I just bought one the other day and I love him. He looks good so many places I have had a hard time deciding where to put him! I really do like the way you have pulled all of it together. Very exotic. Honestly Marty you have such great ideas! I never would have thought to use a charger as a decorative piece. I love the Wild look you have created Marty! So chic!! Marty, the vignette is gorgeous. You do the Wild look well. I love the tray it goes great with the candle sticks. That is a pretty tray and a lovely vignette. I read recently how a pop of animal print can look great with an outfit, and the same goes for your decor it seems, Marty. I really like the petite equestrian bowl as well. Your tray is really pretty... what a nice touch! I wouldn't have been able to resist that try either. Trays and pillow covers are still my obsessions. I love, LOVE the tray. I like to have a touch of animal print in lots of rooms! Great vignette!!!! Love that look Marty. You really know how to put it all together. "Tray chic!" lol. The leopard print looks so fresh in a tray. And for those of us who don't have a real tortise shell, I've been eying the gold Nate tortise box at Target, waiting for that "clearance" sticker. Beautifully arranged Marty!! 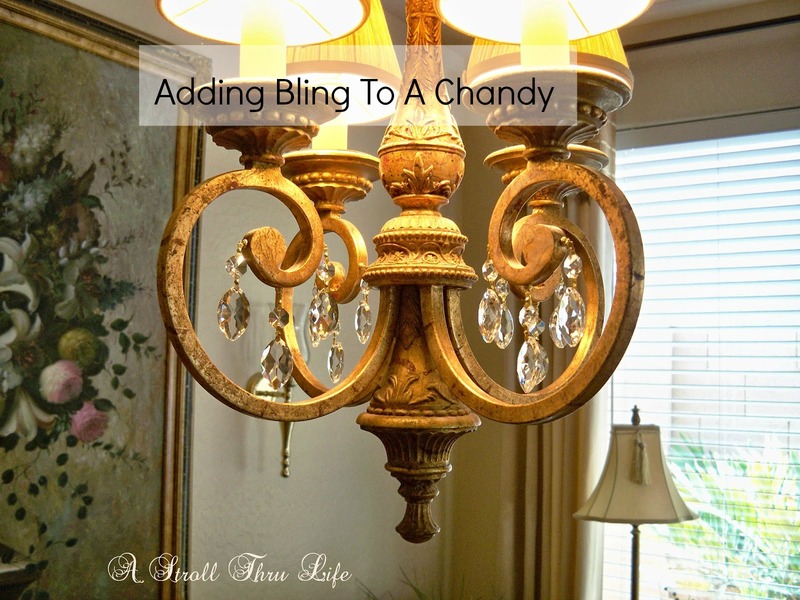 Just the right elements in your vignette! I love it! The animal print goes so well with your brass pieces, Marty! I tend to like gold tones with an animal print in these colors. Beautiful...love the way it all came together. Lovely, as always! 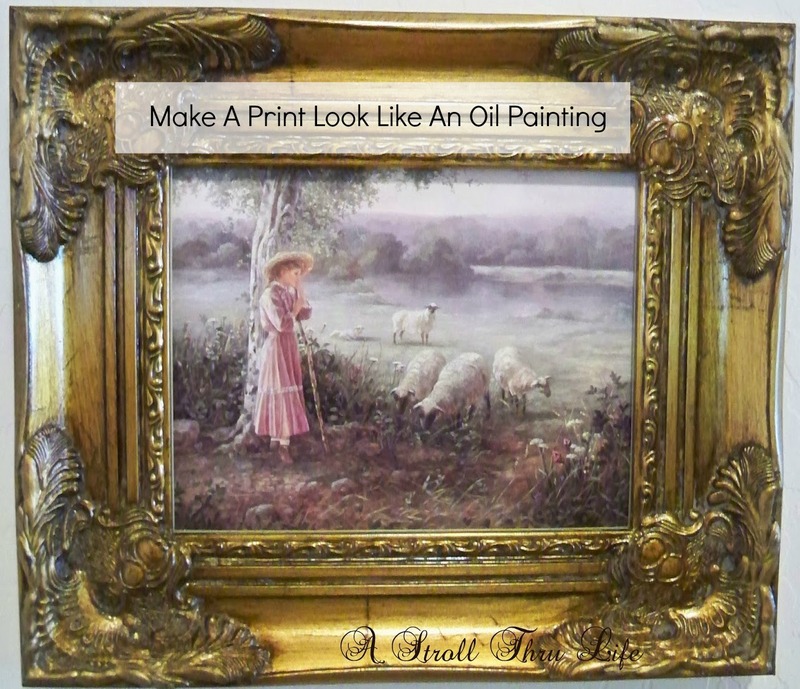 I love the print with the tortoise shell. Looks great!